Tillie spends a lot of time looking out the back door. There are birds and dogs to watch out there, and things moving in the wind. When I opened the screen to take pictures of the sunset (seen in the previous post) she took that as an invitation to move outside onto the step. But that’s as far as she went. She’s such an indoor cat – she thinks she wants to go out, but as soon as she gets out, she wants back in. Those things that move in the wind might get her, you know. I thought about saying something here, but does a sunset ever really need words? Besides, I think it’s about time to go climb into my sleep number bed, lay my head on my pillow, and close me eyes, because I’m really tired and can’t think of anything clever to say anyway. We live in a very small town. There isn't a very high crime rate. Occasionally we have young people throw eggs at the house or let the air out of some tires. I suppose that could be considered criminal, but I think it's just a side effect of having teenagers in the house. Kids think the weirdest things are funny. Mainly, we do our best to be sure the garage door is closed overnight and the front door is locked, and we feel pretty safe. Once in a while we leave the garage door open all night or forget to lock the front door, and while that's not ideal, we still feel pretty safe. If we lived in a bigger city, I might consider a wireless security system like one of the systems offered by Protect America. As with everything else, I'd want to find the best deal available, so their offer of Free systems (with savings of up to $595) got my attention. Also, I didn't know you can get up to 20% off your homeowner's insurance if you have a security system, did you? That could help to offset the monthly cost of home monitoring. Protect America has security packages designed to fit most budgets, and it sounds like they can be customized to fit your exact security needs, too. I'm not sure any of these systems would have helped with our egg or tire incidents, but the door and window contacts would have been a great help keeping a certain young lady we know from climbing out the window/sneaking out the door in the middle of the night. In that case, we probably would have needed the package with the most window contacts, one for each window of the house, but then, since our house is one story, that would only make sense anyway. That would probably mean going with their Bronze package, which includes 7 window or door contacts and a motion sensor, too. Right now you don't just get the system free, but if you call the toll free number 877-470-2751 you'll also get two free keychain remotes with your order. For now, I'm just going to keep Protect America in mind - just in case we ever move to some place where we don't feel quite so safe. What do you mean you were expecting the winner's name and not just some random number? You know you could have just gone to the giveaway post and checked to see which comment was #3 - raise your hand if you did that. If you didn't, that's OK, because I'm going to tell you who the winner is. Anyway, fast forward to lunch time. I take out my egg sandwich, only to find out that I had Mark's sandwich, the one with the ketchup. I tried to trade his sandwich for mine, but he had already eaten mine! So I tried to eat the one with ketchup, but it was awful. I just couldn't do it. Even then, though, I couldn't waste food, so I put the sandwich back in the lunchbox and took it home. I figured Mark could take the nasty ketchup egg sandwich for lunch the next day, but instead my mom made me eat it. The taste of ketchup and eggs together almost made me throw up. I have no idea how I gagged the thing down. To this day I can't, don't want to, won't eat ketchup on eggs. I don't even want to see ketchup on eggs - unfortunately Cory likes ketchup on his eggs, so I've got to see it sometimes, but I try not to look. Still waiting to see who won the Pepsi Throwback Pack? It's Sassy2 from Pookie and the Boys! As you can clearly see - the winner is #3! HEADS - "Starts with A"
My parents must have liked the letter A. They named me Anna, which starts with A. They also gave all of my brothers middle names that start with A – Alan, Andrew, and Ambert. We weren’t that consistent when we named our kids, though Beth, which starts with B, came before Cory, which starts with C – so I guess we were kind of in order. And, you can put our names in order – A, B, C – Anna, Beth, Cory. Jeffrey doesn’t quite fit in, unless we just call him Dad, but he doesn’t seem to like that. -- This post has been brought to you by the letter A, or by Blue Advantage, whichever you prefer. I think this song is especially appropriate for Memorial Day. Don't forget those who died. This is Tillie’s chair. She’s the only one who sits in it, sleeps in it, etc. How exactly that happened, I’m not sure. I think one night Jeffrey put her in the chair and told her it could be hers if she wanted it, and she decided it was a pretty good deal and claimed it as her own. I spent my day meaning to get the photos off my camera so I could post my Looking at the Sky on Friday, and I still don't have those pictures off the camera. Instead I was working on, STUFF. Why is it that I feel like I was busy all day, but I can't actually list the things I got done? I know there was cooking - I tried a new recipe, and if we like it, I'll have to add it to my recipe blog. Besides cooking? Some straightening up, unclogging a drain (hopefully), and? You'd really think my memory would last longer than a few hours, wouldn't you? It is still Friday, though, and I may just yet get my Looking at the Sky post up. Now I do know what I need to get done - dishes! Left from the dinner I fixed. Memorial Day Weekend - the unofficial start to summer. Unofficial because summer doesn't actually start until around June 21, but that doesn't stop everyone from getting into a summer state of mind. Already the Events Calendar for Milwaukee is full. Every weekend there is something going on, starting this weekend with Chocolate Fest in Burlington. Who can really argue with a whole festival dedicated to chocolate? We went to that one once, and my biggest suggestion there is - MORE FREE CHOCOLATE. There was plenty of chocolate there, but I wanted some samples! Some of the other big festivals in this area include Summerfest - the world's largest music festival, Festa Italiana, Mexican Fiesta, River Splash, Bastille Days, Irish Fest, and Polish Fest. There is literally something for everyone, and you really could attend a big event every single weekend all summer long - Memorial Day through Labor Day. I don't think it would be possible to attend all the Events in Milwaukee and surrounding areas. It would certainly take a lot of planning and dedication! We're not quite that dedicated. We usually go to Summerfest, the 4th of July fireworks in Waukesha, and the State Fair, and that's about it. How about you? What are you doing for fun this summer? Yesterday while we were walking, Jeffrey and I noticed that someone was throwing away some towels. My first thought was maybe we could use some of those towels for the marching band. There are times when the band has to play in the rain, and then they really need to dry the instruments, and themselves, off. A while back we got a donation of used towels from a car wash, but most of those were in pretty poor shape - better than nothing, but most of them had holes in them, some of them pretty big holes. So, I figured these towels might be in better shape, and I hate to see things just get thrown away when they can be used. After Jeffrey left for work and Cory for school, I took a couple of my reusable shopping bags (the ones I always forget to use when shopping) and walked back down there. I hadn't realized how many towels these people were throwing away! I think they're throwing away more towels than we own - and we've got a lot. So, I filled my bags with towels, looking especially for smaller towels like hand towels and dish towels because I think those will be most useful for the band. I got them home and looked through them and decided to go back for more. Most of these towels are in really good shape - a few stains and a couple with small holes, but definitely better than those old car wash towels. Some of these are in better shape than some of our towels. Seriously, I can't find anything wrong with them. I'm thinking I might keep them and donate my towels to the band! We've got some pretty ratty ones we've had for about 23 years. Remember a while back I was thinking about ordering a t-shirt from VistaPrint? I picked a design I liked, added my blog url, and changed the font just a little? Well, shortly after that I got an email with a whole list of items I could get free at VistaPrint. The t-shirt designs were limited, but the design I liked was one of the FREE ones. Convenient, huh? So I finally ordered it last week, along with some sticky notes and a pen. I chose the slow shipping, because it was the cheapest and I was in no hurry. But slow really isn't slow, because I got it today. I just have to say that I've never ordered from VistaPrint before, and I love that they offer free products because it gets people like me to actually order something and see for myself what a good job they do. Now that I've seen it - next time I need something printed, I'll be sure to think of VistaPrint. Bronto burgers, anyone? I mean, any questions? You can get more information about sponsored conversation on the IZEA site. I'm a personal fan of sponsored conversations, and not just because I've been working with IZEA and writing sponsored posts for a couple years now. I like that I have found out about sites, services, and products that I wouldn't have known about otherwise, not just through the posts I've written, but through posts written by other bloggers. I tend to ignore (read: tune out) television commercials and other traditional forms of advertising, or if I do watch them, I have a hard time telling you later what the product was they were advertising. Anyone else have that problem? It's like it's all about some slick idea that is fun to watch, but at the end of it, you're left wondering what they're selling. When bloggers write about a site or product, you get real opinions by a real people, and you're not left wondering what they were talking about. Sometimes a product is so exciting that everyone is talking about it (organic buzz). Other times, a product is great, but no one has heard about it yet, and that's where sponsored conversations come in. They get the conversation started. How Long Does a Little Site Maintenance Take? I apologize for the Photobucket thing. Unfortunately, the content portion of my blog has a repeating background image that is hosted on photobucket. That is why that message about doing a little work is repeated over and over again down the center of everything else. Hopefully they'll get that site maintenance done, and this will clear itself up soon. This is the first time I've had any issues with photobucket, so I'll keep using them - but I'll probably move the content background image somewhere else. and she just looks at me funny. Probably wondering why I don’t just leave her to her bird watching. I really was looking at the sky on Friday – I took these last Friday. The clouds were just so amazing, and the sky so blue. Yes, we could spend all day on the couch, on the computer, watching tvs on tv stands, but with skies like this to see, that would be a waste, don't you think? Be sure to enter my Pepsi Throwback giveaway- you know you've always wanted a lava lamp! We're all quick to complain when things don't exactly go our way, but how often do you make a point of acknowledging good service and a positive experience in a store or a fast food place or some other place you visit? So many times it seems that the only comments from customers are negative comments. I admit I don't often go out of my way to report good service. I don't complain all that often either, though I have called about problems with both Kellogg's and Banquet products recently. I tried to do it in a very nice way, and both companies were very gracious and took care of the problem immediately by offering me a coupon for a free replacement product. I also want to say that I think KFC is handling the whole Oprah free coupon thing admirably. Like practically everyone else in the country, I downloaded and printed my coupons for the free grilled chicken meal at KFC. I followed the rules and only printed the 4 I was allowed - one for each of us. Because the coupon download was a pdf file, there was really no way to stop people from printing as many coupons as they wanted, though, and that may have contributed to the whole problem. I hadn't visited a KFC to redeem my coupon when a friend told me that they weren't taking the coupons any more, due to the overwhelming response. 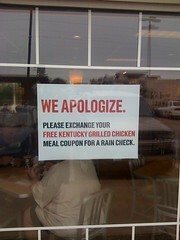 Of course, that's not exactly true - KFC will still be giving out free meals, just not right now. You can get a raincheck form at your local KFC, fill it out, turn it in or mail it by May 19, and they send you a raincheck to redeem at a later time. We did just that on Sunday - we had plenty of time before out movie, after all. We went into the KFC, got our forms and filled them out - one for each of us. We were supposed to attach the printed coupons to the form before handing them in, and the KFC employees had a stapler ready for that. They took our forms with a smile and then handed us some chocolate. By doing it this way, KFC can spread out the redemption, making it more manageable, and they ought to be able to weed out a few of the 'extra' coupons people may have printed. Having your name and address means they can better enforce that one coupon per person rule. I appreciate that, even though they were overwhelmed by the response to this offer, they are doing their best to take care of their customers. I did have the coupon I got in the Sunday paper a couple weeks ago for a free piece of the new grilled chicken, so we went ahead and got that. Mostly Cory ate it, but Jeffrey and I tasted it too, and that is really good chicken! I look forward to getting my raincheck for the 2-piece meal, and a free Pepsi, too. Another thing? I didn't know the president of KFC had this great accent. Have you heard that Pepsi is offering a taste of the past? For 8 weeks only, starting April 20th, Pepsi Throwback and Mountain Dew Throwback will be available nationwide. These products, inspired by the 60's and 70's, are sweetened with natural sugar (instead of the usual high fructose corn syrup) and come in 20-oz retro designed single-serve bottles and 12-pack cans. I really love the look of those Pepsi cans! Look for them in your local store. Now, for the exciting part: One lucky reader will win this Pepsi Throwback Pack! I just had to use that background! Far Out, isn't it? You can learn all about Pepsi and Mountain Dew Throwback, as well as get some great blog and twitter backgrounds, computer desktops, and even learn some 70's slang at the Throwback Hub. 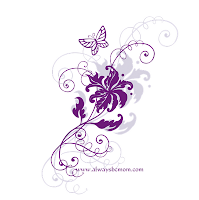 Subscribe to my feed in a reader or by email, or follow this blog. The links are in the sidebar. Be sure to leave your twitter user name or a link to your tweet. Mention this giveaway on your blog and leave me the link. Stumble this post, and be sure to leave your Stumble username so I can check. If you've already tried Pepsi or Mountain Dew Throwback, let me know what you think, and I'll give you an extra entry for that, too. Entries must be received by 9:59pm CDT on Tuesday May 26, 2009. 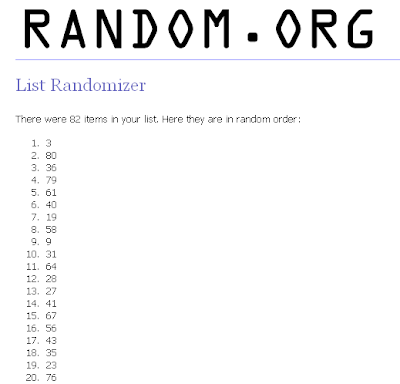 I'll use random.org to pick the winner, and I must have a way to contact you, so be sure you leave a valid email or blog address or someone else may end up with your prize. Usually when a movie comes out that we want to see, Jeffrey goes to the theater and buys our tickets ahead of time. Last week, however, he was out of town all week so we didn't have movie tickets, but we just had to see Star Trek. Yes, I know, I probably should have just gone online and gotten them, but I didn't. So, Sunday morning we got out of the house and to the theater before it opened at 11:30am, hoping to get tickets for either the 1pm or 1:45pm showing. No such luck - we couldn't see it until 5:oo because the earlier shows were sold out. So, do yourself a favor and click the image to find your theater and get tickets for the show you want - without having to leave home. You'll be doing me a favor, too, since I get paid when you click - so it's good for everyone. I highly recommend this movie, by the way. It was really well done, and it was so much fun. I loved meeting all the original Star Trek crew members for the first time, all over again. Even people who have never watched Star Trek or seen any of the other movies should like this, because it's like starting from the beginning. The first view of the Enterprise? Wow! Throughout the movie there are references to other Star Trek stories that old fans will recognize and understand, which makes it even more fun, but you don't have to understand them to enjoy the movie. I'm sure I missed some, so I'm reading this list of Star Trek movie annotations to see what to look for next time. Yes, I really want to see it again. Soon. Speaking of Dancing with the Stars – While I still absolutely love Ty Murray, I believe it is time for him to leave the Ballroom. He has come a long way and improved so much, but it’s coming down to the end, and I’m going to have to accept that the Mirrorball trophy is going to go to someone else. The question is – who do I want to win, Shawn or Gilles? Between laundry, trying to clean some clothes out of my closet, cleaning up the kitchen, and putting together a treasurer's report for the Band Booster meeting this evening, I just never got a chance to sit down and post anything. I have things I want to say, about this weekend, about making frustrating phone calls, and about an exciting giveaway, and even about cleaning those clothes out of the closet, but I just haven't had a chance. Tomorrow I have to get the minutes typed up for the Library Board meeting tomorrow night - hopefully the notes I jotted down will make sense to me, and that won't take too long. Sometimes it just gets so frustrating, that I can't get the things done that need done so that I can get to the things I want to do. I just feel like I can't make any progress, at least not in a forward direction. For now, it's bed time. I never really thought about taking supplements, but if I did, I'd check into something natural like Stemulite. It's supposed to increase wellness and give the user added energy. It might even help with weight-loss, and is supposed to help with sleep, too. I'm not sure exactly how it works, something about protein being necessary for building muscle tone, and I do know that the more muscle you have, the more calories you burn, right? Also, there have been studies on the importance of sleep on overall health and even weight loss, so that benefit can be really important. You know, I really ought to at least start taking my vitamins again. I finally got the pictures uploaded from last weekend's performance of You're a Good Man, Charlie Brown, if anyone's interested. Since we were there for every performance, I took pictures each time. The pictures are pretty much in order of the performance, but not necessarily all taken at the same performance. It was a really fun play, the kids did a good job, and we enjoyed it! The same day I was watching the robin I posted for last weekend’s Camera Critters, I also saw this little critter. It was across the yard when I grabbed the camera to zoom in on it. But it wouldn’t hold still, just kept moving toward me, until it stopped right outside my back door. So I shot it, through the glass, before it moved on around the corner of the house and out of sight. Kinda cute, huh? As long as it stays out of my garden when I get it planted! This is looking out my back door again. Yes, I know I’m always taking pictures out my back door, enough to fill an entire compact flash card, but I really liked the ripples in the clouds. I had some really great coupons I found on the Kellogg's website, plus some other coupon sites, and I printed as many as they would let me, and the store doubled 5 of them, saving me $10 right there. I didn't have coupons for the crackers or cookies, but I had a $1 coupon for each box of cereal. Again, on sale 4/$10, cost after coupons - $12.79 = $1.28/pkg - plus the code for the 2 free movie tickets. I didn't get a free box this time, and my PopTarts coupon was $1 off of 2 instead of 1, so the cost was a little higher. avg cost per = $1.10. I got 2 certificates for 2 free movie tickets!! Altogether, 20 boxes of cereal, crackers, Pop Tarts, and cookies and 4 free movie tickets for $21.91! Today I entered my codes and got my eMovie Cash which can be redeemed for ONE (x4) admission ticket (up to $12.00), for any showing of any movie, at any of the participating theaters. Cory cut all the Star Trek tokens off the boxes so he can get his free Star Trek shirt, too. I think he expects me to fill out the form, though. We won't be needing cereal any time soon, that's for sure! Whenever we get a doctor bill, I can't help but read through all the charges, and then I'm very, very thankful that we have insurance. This is something that has been bothering me for a while, though. Because we have insurance, we don't just get a percentage of our medical bills covered, we also get discounts off the original cost for the services. For instance, Jeffrey recently had to have an MRI on his wrist because he hurt it playing basketball. In the end they told him he's just developing arthritis because of the time he broke it several years ago, and that was the end of it. They didn't even do anything for him. The original cost for the MRI (and related services) was somewhere around $2500. The discount, not what the insurance paid, the discount, was almost $1000. Then the insurance paid their part, and what we had to pay was more than I really wanted to pay, but at least it wasn't the entire $2500. What bothers me is this, what about people who are unemployed and who don't have insurance? Do the people who can least afford it have to pay full price for medical care? No insurance to pay part of it and no discounts? That just doesn't seem right, but until now that's just the way it was. Now discount health benefits are available directly to the individual through http://transitionalbenefits.com/ - for less than $20/month. Benefit packages offer telephone access to a physician from any phone, 24 hours a day, 7 days a week, prescription drug discounts, vision care discounts, and discounts on dental care. These are the same discounts that until now had only been available to large groups based on volume. Not having medical insurance no longer means having to pay full price for necessary medical care. If you are currently between jobs, self-employed, or without medical insurance for whatever reason, visit http://transitionalbenefits.com/ to see if they offer a package that is right for you. My last post was about walking and being healthy (and contributing to a good cause) - this one's not. This one's about Pepsi. Pepsi Throwback sweetened with real sugar, to be precise, and one person will win it, plus some great retro stuff. Elizabeth has this amazing Throwback Pack to give away to one lucky reader! Visit Table for Five to enter. Entries must be received by 9:00 AM EST on Thursday May 7th. Open to U.S. only. I've been logging all the miles I walk at BeeWell Miles for a little over a month now. As of this morning, I have logged 44 miles there. And, since Bumble Bee Foods will donate $0.15/mile for every mile logged at BeeWellMiles.com (up to $200,000), that means they have donated $6.60 for the miles I've walked so far. All donations go to Breast Cancer Network of Strength which provides support and emotional relief to anyone affected by breast cancer. Like I said before, I would be walking anyway. I've been walking practically every weekday morning since Cory was a baby - that makes 16 years, and that's a lot of miles. I wish all those miles had been going toward a good cause, but at least they've kept me in shape and my clothes fitting! Apparently Bumble Bee Foods has done this before, at least once, because I read on the site that they donated $150,000 last year. If only I had known, because I love the idea that the miles I'm walking are helping to support a good cause. Anyway, I can't change the past, but I am doing my best to spread the word about BeeWell Miles since I found out about it. Right after I registered (it's free) on the BeeWell Miles site, they started a walking program where Jeffrey works, and spouses can be on the teams, too. We're all supposed to log our miles on another site. I told Jeffrey that we should all log them at BeeWell Miles so all those miles will go toward a good cause. He and his boss both sounded interested, so I shared the link. There's nothing that says they can't log their miles on both sites, that's what I've been doing. I just set both sites as the home page on my browser so I remember to log the miles first thing in the morning. There's still plenty of time to get started at BeeWell Miles . Miles logged through the end of October will count toward the donation to Breast Cancer Network of Strength. There are also plenty of great resources to help you get on the path to a healthy lifestyle, so you can help yourself while you help others. I was beginning to wonder why anyone would take the time to comment on multiple posts, sometimes 4 times on one post, with links to different pages on their website. Then I read this comment, "I am SEO professional..."
Please note, Mr. SEO professional, that even though your comments were very nice, I mean, who doesn't like hearing, "I have read a lot of entries from this blog and every post contain wonderful information on related topic so keep up the nice work man."? (Though, as a mom, I don't usually get called man.) Please note that your comments have been deleted. I really don't wish to be part of your SEO plan. Last Sunday I looked out the back door and saw a robin perched on one of Jeffrey’s stakes. These are the stakes he put out back to measure out where the patio is going to go. Then he jumped off the stake and attempted to take the string that was tied to it. Those strings may be loose, but they are not going anywhere. Poor robin. I guess he’ll have to find nest building materials somewhere else – and these looked so promising. We did a lot of shopping on our trip to New York. A lot of the girls bought new purses. I guess you can get really good deals on designer purses if you talk to the right people, but purses don't really excite me much. Now, find me some cute shoes, and I'm a happy girl. I'm not girly in very many ways, but I love my shoes! I have a whole closet full, but that doesn't mean I'm not always looking for that next cute pair I just need. However, I do not believe in spending a lot of money to get a cute pair of shoes, and that's why I am truly excited to find out about Ami Clubwear. They have so many cute shoes, I haven't begun to look at them all. Of course, being cheap always on the lookout for a good deal like I am, I immediately clicked on the link that said 'Heels under $15' and I have already found so many shoes I want. They really are under $15! And they're so cute! I'm thinking the red ones, because I really do need a new pair of red shoes. I had to throw my old pair away recently. The gold ones because my gold shoes are broken. I still have them because I love them too much to throw them away, but I can't wear them any more. So, obviously I need a new pair. And the last pair? They're just hot! At $12.99, $12.99, and $14.99, I don't have to pick just one favorite pair, either. In fact, I need to find at least another pair so I can get the free shipping on orders over $50. Since I've only just begun to look, I doubt I'll have a problem with that. Check this out. If you like shoes, I bet you'll find some you like, too. I'm off to browse the Clearance page. A while back Beth came home with a bag of that Amish Friendship Bread starter. You know the one I mean - the stuff that makes you want to run away when someone comes your way carrying it. Now, I'm not complaining about the bread. It's pretty good - even when you don't really follow the recipe like Beth and use the wrong kind of pudding. The recipe calls for instant pudding, which she claimed she had used, but the box clearly said it was the cooking kind. So her bread was too soft and didn't come out of the pan very well, it still tasted good. The problem is that she divided the batter up like she was supposed to - into the bags to give to friends. Only, she never took them and gave them to anyone. So, today was the day that those friends she was supposed to give the batter to would have added 1 cup milk, 1 cup sugar, and 1 cup flour. Now, one of those bags was supposed to be mine (oh, yay) so I added my milk, sugar, and flour, but there's no way I wanted to do that with the other bags. That's a lot of milk, sugar, and flour! Of course, the milk, sugar, and flour that was already in the bags was mine, too, so I didn't want to just toss it - so we put it in the freezer. Someday, when we're ready for more of this friendship bread, we can pull a bag out of the freezer, thaw it, add the milk, sugar, and flour, and continue with the recipe. We get to enjoy the bread without making our friends run the other direction. When my kids were in elementary school, they read a book about Flat Stanley, and then they were supposed to send their own Flat Stanley to friends and family.Those friends were supposed to have an adventure or do something with Flat Stanley, write about it, take pictures, etc., and send him back. Then the class could track all the places Flat Stanley had visited. If you've had kids in elementary school, perhaps you're familiar with Flat Stanley, too. I don't know if being put in the cat's bed was exactly what Ted had in mind, but you never know what you're gonna get if you put your face out on the Internet and give people free license to use it. *For those of you wondering Who in the World is Ted Murphy? Ted is the creative superfreak Founder/CEO of IZEA.